Girls sublimated dress featuring Minnie Mouse! Each dress is a one of a kind. 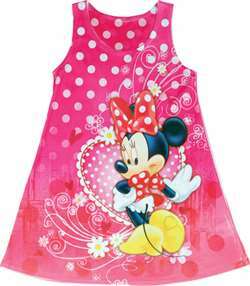 This fun and comfortable dress will be a huge success with any Minnie Mouse fan. Machine washable and pre shrunk for a great fit.